At Quik’s, we make fresh chips every day. Chips like Mum makes. 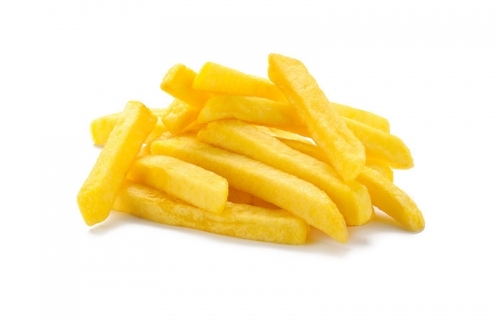 Quik’s chips are cut from fresh, high-grade potatoes and pre-fried in fully liquid vegetable oil, of which a large part is high oleic sunflower oil. This process produces artisanal chips with an authentic potato flavour! These standard chips can be used for all sorts of dishes, but don’t think that because their size is standard, their taste is standard too! You see, Quik’s chips have been lightly blanched and the pre-fried to ensure you still taste the full flavour of the chips after the final frying stage! These chips can be fried in a deep-fryer but are also very suitable for cooking in the oven or an air-fryer.